Artem Tolstukhin was born in the Crimea (Ukraine). 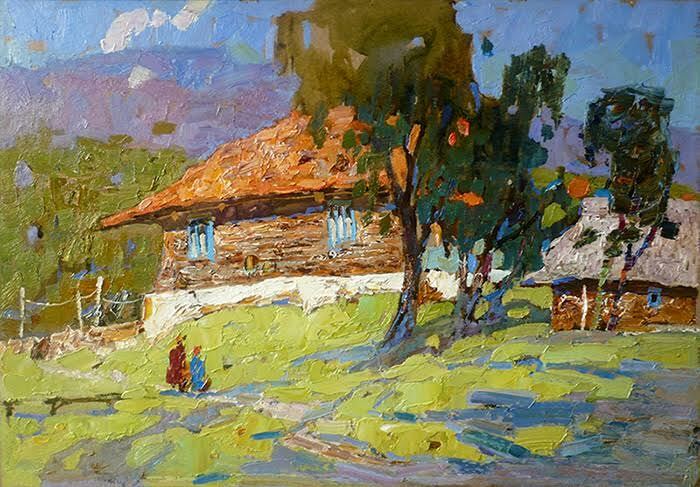 He graduated from the famous Simferopol Art Institute named after A. Samokish in 2006 and, that same year, was accepted into the Kharkov Academy of Design and Arts, Restoration Department. He graduated from the prestigious Academy in 2011. Tolstukhin was elected into the All-Ukrainian Young Artists Union in 2008. Artem has emerged as one of the leaders of the Union as well as of the Degrazh, the association of young Kharkov artists. He has participated in multiple Ukrainian exhibitions of young artists including the “Exhibition of Young Kharkov Artists" in Gallery Maestro in 2011. In 2015, he was honored with a one man exhibition at the Kharkov Art Museum—”Wind Rose.” This exhibition showed 38 paintings from his travels to France, Italy, Montenegro and Crimea and ran from April 26 to May 10. Four works were purchased by the Museum for its permanent collection. Artem's works can be found in private collections within Ukraine, Russia, Germany, France and the United States. Of late, the talented young artist has become a favorite of Chinese collectors. His popularity is soaring among collectors from throughout the world. He has made a series of murals and participated in the restoration of several churches in Ukraine and Russia.